When member of the public Oliver Perry discovered a newspaper article describing a whole-length portrait of Sir Edward Codrington having been painted by ‘H. 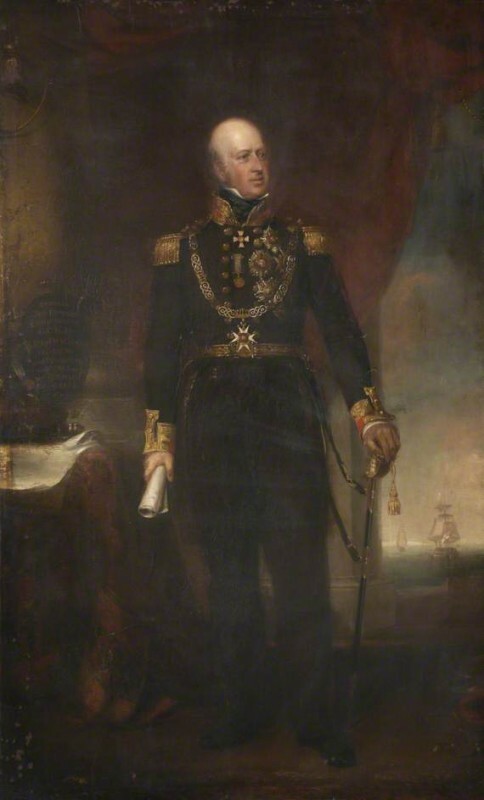 Patterson,’ he wondered whether this was in fact reference to a portrait of ‘Admiral Sir Edward Codrington (1770–1851)’ painted by an unknown artist, held by Plymouth City Council: Museum and Art Gallery. Regular contributor Martin Hopkinson agreed with Perry that this portrait looked like it might be the work of Hugh Patterson (1805/1806–1871), having arrived at this conclusion by comparing it with Bodmin Town Council’s painting of Joseph Hamley, Mayor (1818, 1826 & 1837) confirmed to be by Patterson. Amongst Perry, Hopkinson, and two further contributors Paul Kettlewell and Osmund Bullock, many historical references, including census records, were found to support the idea that this portrait was indeed by Patterson. This included a letter written by the sitter, now located in the New York Public Library where Codrington describes having "had a full length picture painted of me by a young artist of that town [Devonport]…” The provenance of the portrait clearly played a crucial part in confirming Patterson as the artist, including the fact that today this painting is still located in the same geographical area as it was originally painted and hung, as highlighted by Perry. Due to the thorough research of contributors to Art Detective, Barbara Bryant, leader for 19th Century British Portraits concluded that the artist of this portrait can now be known as ‘the Irish-born Hugh Patterson (1805/06–1871).’ Plymouth City Council: Museum and Art Gallery were delighted with the discovery and have since updated their records. Could this portrait be by H. Patterson?